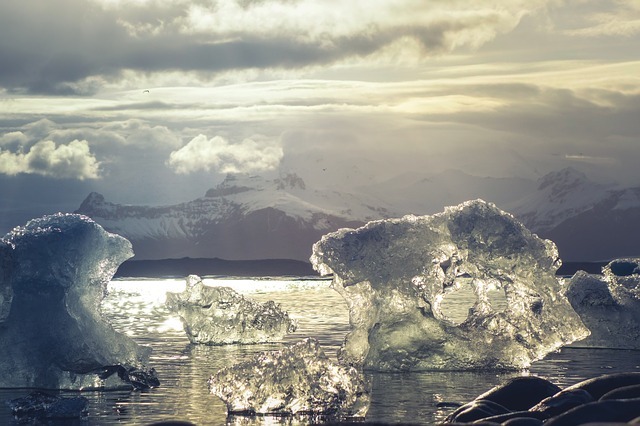 Rather than it ringing alarm bells, some nations see the melting of permafrost and sea ice in the Arctic Circle as an opportunity to get their hands on oil, gas, precious metals and new trade routes. There could be dark times ahead in the High North, says Reading’s Dr Mara Oliva in a recent post for The Conversation. Climate change is redrawing the Arctic geopolitical map. Rising temperatures are causing permafrost and sea ice in the Arctic Circle to melt at an alarming rate. While this should be a worldwide cause for concern as its impact will have catastrophic consequences for the entire planet, the US, Russia, Canada, Denmark, Norway, Sweden, Finland and Iceland instead see it as an opportunity to gain access to natural resources and new trade routes. The Royal Institute of International Affairs estimates the region could contain up to 90 billion barrels of oil. According to the US Geological Survey, a fifth of the world’s natural gas lays untouched beneath the Arctic ice sheet. The area is also rich in precious metals. In recent years, warmer summer months have made the area more navigable, too. In 2013, instead of using the traditional Panama Canal route, the Nordic Orion, a commercial ship, cut its journey from Vancouver to the Finnish port of Pari by about 1,850km by crossing the Arctic. And in 2017, the Russian oil tanker, Cristophe de Margerie, travelled from Norway to South Korea without the help of an icebreaker. As nations scramble to get their share of this 21st-century gold rush, old rivalries are resurfacing. Conflict is age old in the Arctic. Archaeological remains show it was a politically contentious area back in the 15th century. The Bering Sea also became the theatre of one of the American Civil war’s battles, when Union vessels were attacked by the Confederate CSS Shenandoah in 1865. Finland lost 11% of its territory to Russia during the Winter War of 1939-1940, and fearing Japan would use the Aleutian Islands as a springboard to invade the American west coast, the US lost over 500 men trying to recapture them in 1943. During the Cold War, Washington and Ottawa set up the Distant Early Warning (DEW) Line, radar stations in the far north of Canada to monitor the airspace for potential attacks. The Soviets built ballistic missile submarines and placed them in the Barents and Kara Seas. While the post-Cold War period saw a relatively peaceful interlude – Russia was temporarily too economically weak to assert its power – the impact of climate change has reignited interest in the area. Russia has most aggressively pursued and defended its interests in the region. For Moscow, this is not just an opportunity for lucrative, but also a national defence issue. The Kremlin considers the Arctic central to its military plans. Since the end of the Cold War, it has reopened six military bases and built three new nuclear icebreakers. Moscow is also modernising its Northern Fleet. This will include two icebreaking corvettes capable of carrying the latest anti-ship missiles. He then proceeded to explain how he would extract US$30 trillion worth of black gold from the Arctic. During 2017, nearly 300 Russian exercises took place and more than 200 missiles were fired in the region. Western allies are increasingly fearful of Russia’s aggression. Canada and Norway feel particularly threatened given the vast unpopulated areas in their northern territories and the natural resources off their coasts. They have increased their defence spending. NATO has responded with the biggest military exercise since the Cold War. Recently, 50,000 NATO personnel took part in operation Trident Juncture in Norway. The US joined this race for the Arctic in April 2018 when the Bureau of Land Management announced it would begin an environmental impact analysis for oil exploration in Alaska’s Arctic National Wildlife Refuge (ANWR); an area designated as protected wilderness by Congress in 1980. This will enable the Trump administration to issue leases to the oil and gas industry in early 2019. This will help satisfy America’s need for fossil fuels, but also to make it harder for Moscow to explore its options. New US sanctions have also targeted some Russian oil executives and prohibited American companies from dealing with them. As a result, Exxon Mobil was the first US oil company to leave Russia. More will follow. Oil is essential to the Russian economy, so Moscow will continue its aggressive pursuit of it. The aim is to create a “Polar Silk Road” that would become part of its Belt and Road Initiative by making use of new shipping routes. China has also significantly increased investment in Greenland to expand infrastructure and hasten the island’s independence from Denmark. Managing these competing interests will be a serious challenge, not least because the Arctic is a weak point in the convoluted web of treaty-based and customary international law. There is no overarching treaty governing the “High North”. According to the United Nations, each country can claim up to 200 nautical miles off its coast of Exclusive Economic Zone (EEZ). To get access to any area beyond this point, a country must prove that this outer zone belongs to them. So far, only Iceland and Norway have been approved for such a claim. Canada, Denmark and Russia have submitted overlapping claims that are still being debated. These tensions increase the risk of international conflict. While an outright war might not be the immediate outcome, other significant threats such as piracy (illegal and unregulated fishing, for example), and eco-terrorism are likely to become more frequent. More importantly, an open race for the natural resources could quickly lead to ocean depletion. These are dark times in the High North. This post first appeared on The Conversation, 28 November 2018. Dr Mara Oliva is Lecturer in US History in the University of Reading’s Politics and International Relations research division. Her latest project is on US foreign policy and climate change and she is currently looking at US foreign policy and climate change as a national security challenge in the post-Cold War era. The Arctic is one of the key areas of interest.